Actionable information comes from knowing what people did after they clicked your promotional offer. Last week my friend Michael’s company sent an email blast with a special offer. I asked Michael how many people had made a purchased as a result of getting the email, or if anyone was any closer to making a buy because of his email blast. He didn’t know. Nor could he tell me which of his web pages people had visited as a result of reading the email. On the other hand, he was proud of the statistics his email campaign service provider gave him: a 44% open rate and a 31% click-through rate. I asked him what actions he was planning to take because of those open and click-through rates. Michael gave me an inquisitive look then asked me what he should do. I suggested he tag his marketing materials (email links, social media campaigns, etc.). He said he already did tag everything … he even showed me the tag in his email. This kind of tag is from an email campaign service provider (e.g., MailChimp, Constant Contact, etc.) and is only built to track clicks and click-through rates – data you can’t take action on. 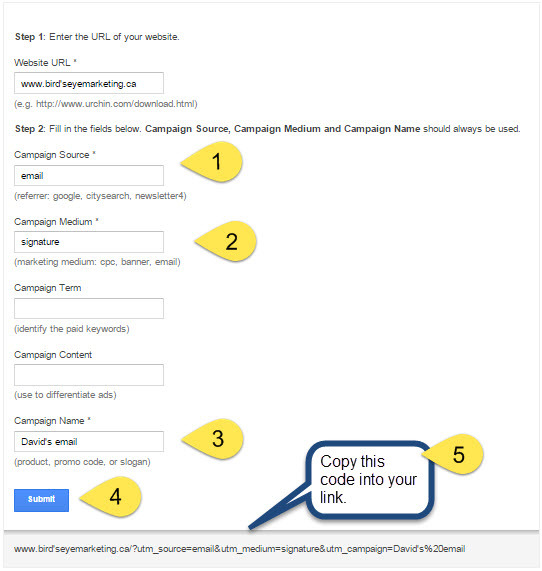 Example of email tracking code provided by email or advertising suppliers. This tag does not send information to Google Analytics so you can know how many people purchased, or came closer to buying. To learn about the buying actions triggered by your marketing materials you need to have your data-click information sent to Google Analytics. 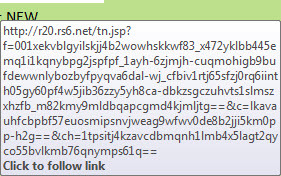 And that requires an additional tag that’s embedded into your email campaign service provider’s link. This embedded tag is called a UTM (Urchin Tracking Monitor) tag. It contains the instructions Google Analytics needs to classify, store and track clicks. It’s the UTM tag that gives you the valuable and actionable data you need to know how much closer your marketing efforts are bringing people to buying your products or services. Your email or advertising campaign service provider’s tag captures the click. 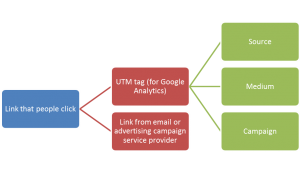 The UTM and Service provider tags combine to make your link. Source: a broad category of marketing activity such as email, social media, advertisements, etc. Medium: a narrowing of the category focusing on something more specific, such as which email campaign, which social medium, or which advertiser. Campaign: is a further narrowing of the source and campaign focusing on a specific sale, campaign date, or offer. “?utm_” identifies the start of the UTM code. 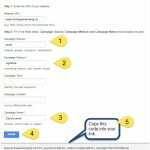 This notifies Google Analytics to wake up and store the next bit of information under campaigns. “Source=banner” tells Google Analytics that we’re calling the source “banner”. “medium=twitter” tells Google Analytics that this is a Twitter campaign. The “campaign=june” identifies that the campaign ran or will be run in the month of June. At a high level (Source) you can see how each of your advertising platforms is performing. Is email generating more leads than advertising campaigns? At a lower level (Medium) you can see which email lists are performing best, or which advertisers are driving sales. At a detail level (Campaign) you can see how specific email or advertising campaigns performed. Put simply, tagging lets you know your marketing return on investment – the best places to spend your money, and best places to spend your time. For most small businesses making tags isn’t the real challenge. The real challenge is coming up with source, medium and campaign names that will make sense when they’re later analyzing their marketing results in Google Analytics. Make sure you use easily understood names. If the names cause confusion, you may end up making bad assumptions that lead to poor decisions. A good naming convention requires consistency so you can keep track of each of your activities. 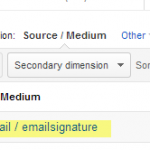 Once you’ve created a UTM tag, put it in your link shortener, your email blast supplier tag, etc. so Google Analytics will record all your click details. 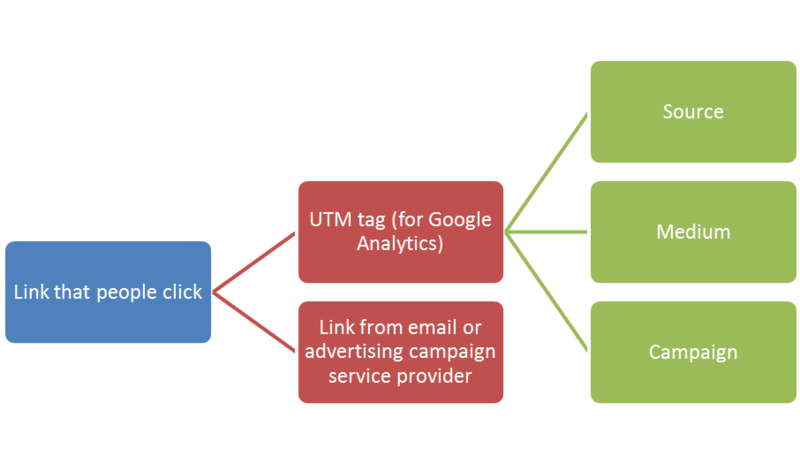 Google Analytics gathers your tag data and puts it in Acquisition > Campaigns. You can see all of your results there. Or, you can use your campaign data as a secondary dimension to see which web pages your marketing campaigns are delivering traffic to and which goals they’re helping you achieve. Properly tagging your marketing campaigns with both your service provider tag and a UTM tag gives you an easy way to know how many people purchased or became sales leads as a result of each of your sources, mediums and campaigns. And that can help you develop and deliver more effective marketing campaigns that drive sales. Leave me a comment if you have questions or want to know more about tagging. Yesterday morning Canada Newswire (CNW) hosted a seminar featuring Michael Pranikoff (@mpranikoff), Global Director of Emerging Media at PR Newswire (CNW’s parent company). It was an inspiring seminar about ways to engage audiences. 72 – 96 hours that’s how long content conversations last after release. Here’s a close look at each. With the rise of search engines, mobility and social; earned, owned and paid media are converging. However, advertisers (content publishers) deliver messages designed for one of owned, earned or paid media – each has its own silo. By operating in “content silos” the content sometimes gets out of context with the consumption technology – search, mobile and social media, so the audiences perceive the messages as “story YELLING”. Video – best time for video is 1 – 3 pm. Audiences are multi tasking – looking at tablets while listening / watching TV. Most buyers self educate on line. In fact 65% of their research is complete before engaging with a vendor. This demonstrates the trust people have that “Google knows where they should go to answer their questions. In response content producers need to provide a “trail” indicating where we want them to go – a link to another website or purchase page, join an email list, donate, etc. Following that initial 72 – 96 hours, CNW’s research shows that content enter a “long tail” period that lasts about four additional months. However, those deploying multimedia content strategies by adding short bits of related content can extent the engagement period an additional 12 to 18 months. CNW deploys the method talked about at the seminar – publishing their content in context with multiple device types, or different places online. They improved audience engagement 35%. Thank you CNW for sponsoring this informative seminar. Do you have data on your marketing activities like your newsletter links, banner advertisements, paid links, social media? A technique called “tagging” each call to action link enables tracking of these results. Google Analytics URL Builder (it’s free) makes tags for you and then puts the results in Google Analytics. 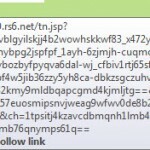 A “tag” HTML code that places a unique identifier on a link. Every time that tag is clicked it is counted because of the tag. Every tag needs to contain identifying properties; source / referrer, medium, and campaign. To understand a tag’s value take how to build them take a look at the post How to Move Beyond Open and Click Through Rates. You don’t have to know HTML to create your own tags. Google Analytics URL Builder is a free tool that creates a custom tag to track results for marketing activities like display / banner ads, newsletter links, email blasts, affiliate links, tweets and more. It’s a great way to get accurate and objective feedback on what was done well and what needs improvement. Immediately below you are presented with your tag that is pasted into your advertisement. Google URL Builder makes the tag for you! For those with Google Analytics Accounts the clicks on each tag are identified under “traffic sources” > Search > Campaigns. All activity where a tagged link was used is captured in this single, which place which makes for easy comparisons. I have a tag on my email signature so I know if email recipients are using it to access the website. Figure 2 shows how it is displayed in Google Analytics. Let me know how about your tagging experiences. A company hired me after they blew the entire marketing budget and had less than 20 leads to show for it. The CEO asked me what was wrong. When I replied that the website content and marketing message needed alignment asked “what’s that have to do with lead generation?” Here’s how I showed him the importance of alignment. The website analytics clearly showed a spike in website visitors following each lead generation campaign. In fact the traffic spikes so closely mirrored lead generation activities I was able to tell the CEO when they exhibited at tradeshows, ran an advertisement, sent an email blast, used social media, and just about any other lead generation activity. It was clear that each lead generation campaign was causing a spike in website traffic, but the company’s website was sabotaging the efforts. The website message was a couple of years old and the message had not been updated to reflect the new market and buyer needs. The web analytics validated that the website message was not aligned with the messages being delivered in lead generation activities like advertising and email blasts. Using the web analytics it was easy to make fact based decisions on new content and navigation for the website. On the other hand, if we did not have web analytics we might have proceeded with my “guess” that the problem was message alignment. But what if that was not the problem? What if it was something far deeper…. How would anyone know? Most of your lead generation activities will send people to your website (even if that’s not what you want them to do – they will just google your company name), where they will determine if your content helps them. 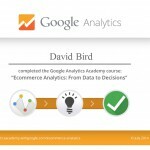 Need proof: look at your website analytics after executing your lead generation activities. Many businesses follow a “set and forget” approach to their website – that is the website rarely updated. Meanwhile they constantly evolve their marketing activity messages. It’s an easy thing to do when we are really busy. Website data such as keywords, page abandons, and more can demonstrate which messages are working and which ones are collecting digital dust. The good keywords can be applied to lead generation efforts. Likewise the successful marketing campaigns can be great tests for potential new website messaging. What’s your experience with the alignment of lead generation programs and the message message on your website?